KNOWING WHAT an Apple diehard I am, friends have been asking me about the forthcoming Apple Watch, and if I’m going to get one. So I’m going to make another little digression today to answer that question—although, arguably, technology is art and culture in contemporary society, particularly when it’s something close and familiar enough to wear on your person. As half the planet now knows, Apple announced the Apple Watch last September 9 in a splashy event helmed by the company’s new and nimble CEO, Tim Cook. It’s due to be released this Sunday in the US, and preorders opened last April 10; within six hours, most models—about a million units—were sold out. That’s the kind of first-day frenzy and manic marketing that Apple might as well take out a patent on, because no other company even comes close in making people line up on the sidewalk a week before the store doors open. It’s also what turns Apple haters—and there are more than a few—apoplectic, refusing to understand how the mere whiff of a new toy from Cupertino, California could leave a fourth of humanity in a hypnotic trance. Given those numbers, it’s safe to conclude that the Apple Watch was made to do more than tell the time. While hardly in the same stratosphere of high-end watch brands such as Patek Philippe and Rolex, Apple hasn’t done too badly as a horological upstart. Designed to work best with an iPhone, the Apple Watch can receive your email and text messages, and show incoming calls. It can do Facebook and Twitter, and perhaps most hyped of all, it can track your health stats. It can play your favorite tunes, and store some of your favorite pics. You can still use it without an iPhone for neat little tricks like Apple Pay (if and when that comes to our shores). What are its downsides? It doesn’t have built-in GPS; you’ll need your iPhone for that. And with its touted 18-hour battery life, you’ll probably need to recharge it every night. Many of these features, I should point out—except for the Apple-specific apps—were and are available on other smart watches, for a lot less than what Apple is charging for their sum total. Before the Apple Watch, Beng and I had some fun with our his-and-hers Pebble watches, which basically told the time and displayed our email and SMS messages on a monochrome screen. Eventually, we both got tired of charging the buzzing beasties, and went back to our analog Hamiltons. Which brings me to my answer to my friends’ question. 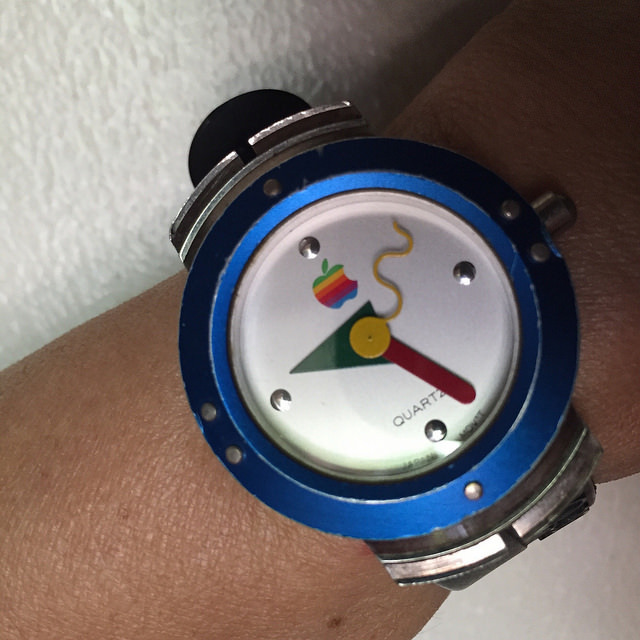 Am I getting an Apple Watch? Heck, no—and this will probably be the first Apple rollout since the Newton that I’ll be passing on. But why not? I’ll admit that the price is a factor—the Pebble didn’t cost me more than $100, and it’s way below that now (feature-wise, of course, the Pebble can’t hold a candle to the Apple Watch). But in truth, cost never did turn back the Apple masses, who seem convinced that the pricier and sleeker something with an Apple logo is, the more compelling it must be to possess. It certainly isn’t for any lack of features, either, that I’m not in the buyers’ queue (where I was for the iPhone 6; I had ordered mine as soon as the online counters opened, and received it via UPS last September 19, the first day of delivery in the US). The Apple Watch is abundantly capable and versatile, and we’ve only seen the barest suggestion of all the lively apps that are going to be developed for this device. Instead, I may have to admit, as I’ll do now, to the onset of what we might call digital fatigue—that awful sensation of drowning under an onrushing wave of 1’s and 0’s. I’ve never felt this before, and it must be my biological age showing, but it took the Apple Watch and its kaleidoscope of colors to tell me that I’ve had enough. Please, not another device to tether and feed like a pet goat, and one that will bleat mightily when some silly text message comes in selling a condo I can’t possibly afford, and one that will remind me with a smug chirp about how overweight I am. I know that I can talk to the Apple Watch, which will be the coolest thing for my students to see since I stepped into class with a Nokia the size of a shoe strapped to my waist in the early ‘90s. But I have trouble enough talking to my phone; I hate making and taking phone calls, because they usually mean problems to deal with. My iPhone is, first of all, a camera, a jukebox, a browser, and a datebook; and then it’s a phone (come to think of it, it’s also and already a watch, and a damn good one). As it is, I don’t even use my iPad often enough, and I have to remember to charge it after letting it idle for a couple of weeks in solitary stupor. There’s a nest of charging cables at the foot of my bed, with phones, power banks, and digital recorders huddled like suckling pigs; I can just see the Apple Watch joining that blue- and red-eyed menagerie—but again, I’d rather not. The ultimate reason for my self-denial is, I guess, the romantic one. I love my vintage and my two-handed watches too much to trade them for some blingy upstart. I believe a watch’s first and only duty is to tell the time. I believe a watch should have a clear, round, and honest face, from which I can read the time at a glance, without breaking my train of thought. I believe a watch should have a soft and pliant strap, like good leather; it should be beautiful, but quiet and undemanding, except for the occasional turn of the crown. Kind of like the original Apple watch from 1995—I think the happiest watch ever designed—which everyone seems to have forgotten about in the mad rush to get the new one. I dusted mine off the other day, put a new battery in, and gave it to Beng. It tells the time, and puts a smile on your face. What more can you ask for? 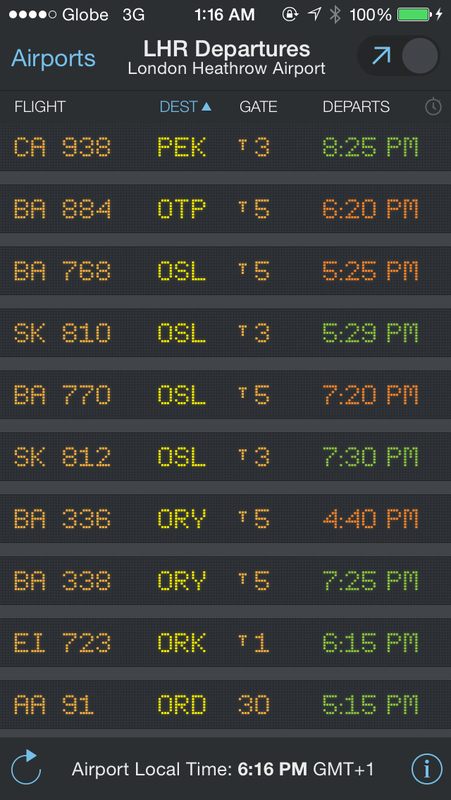 LAST WEEK I wrote about some websites that you could check out if you’re planning to go on a trip, especially to some place you’ve never been before. Practically everything today can be planned online, from choosing destinations to booking flights and hotels and buying travel insurance. But what about when you’re already on the road? Trip planning. 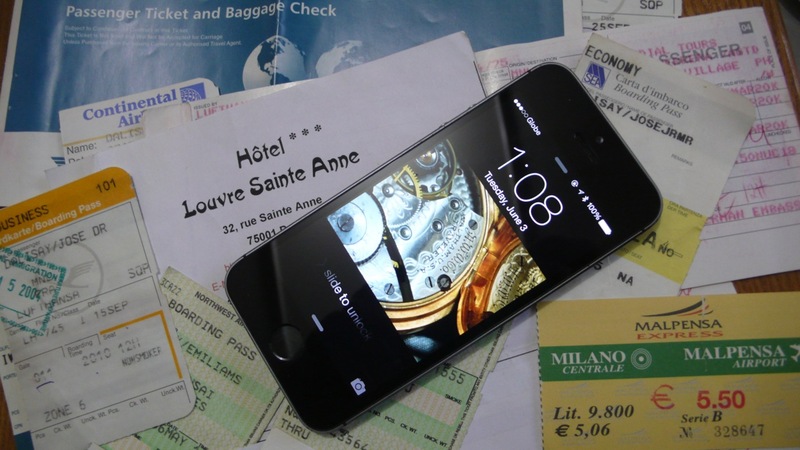 If you travel often, you’ll need an all-around planner to organize your trips—remind you of your itinerary, make your bookings, check your flight status, provide weather forecasts, convert currencies, and such. Your datebook can take care of some of these things, but not all. For many years now, my reliable sidekick in this department has been an app called WorldMate, which can do all of the above, and more (it can also calculate tips). Getting around. Once you’ve reached your destination, there are two things you’ll almost certainly need to get around: a city map, and a local transport (subway and bus) guide. Many airports will give you free city maps on arrival, and they’re fun to spread out on the table over breakfast to plan the day, but they’re a hassle to unfold at streetcorners and in the middle of the plaza to locate where you are and where you’re going (and at that instant, you might as well wear a T-shirt saying, “I’m a lost tourist—please, victimize me!”). A good map stored in your digital device—without needing to go online, as you would with Google Maps—can save you a lot of anxiety, if not a lot of footsteps. On our recent sortie around Europe, I was glad to be guided by one invaluable resource: Ulmon maps of Barcelona, Venice, Florence, and Paris. All of these maps were free, and could be blown up to the level of individual streets and even alleys; if you feel lost, you could input the name of the nearest street, and it will locate your neighborhood in relation to popular landmarks. 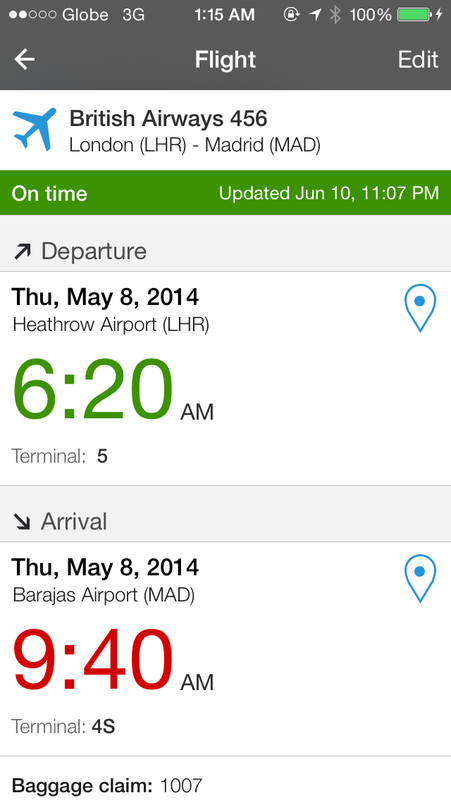 Clicking on the name of a hotel will give you rates; public transport stops are also indicated. Speaking of public transport, nearly all the major cities of the world have some kind of subway or metro rail line, and this gives me an opportunity to introduce my favorite travel app of all time—and I mean that almost literally, because I’ve been using it in its various incarnations since 1999, or 15 years, an eternity in digital time. It’s called Metro, and it’ a guide to the world’s subways, metros, and bus lines. I first used Metro on my Palm Pilot when I was navigating around London, and the app—though regularly updated—has remained essentially the same. You choose a city (say Paris), and decide that, from your hotel on Avenue Foch, you want to go to the weekend flea market at the Porte de Clignancourt. 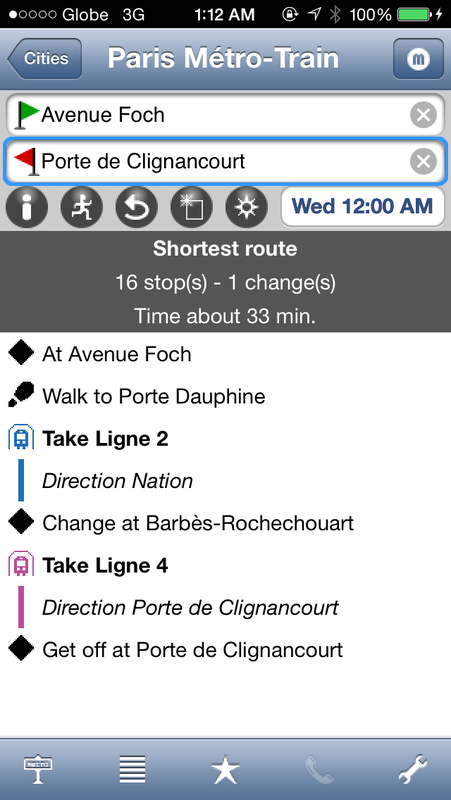 You input “Avenue Foch” and “Clignancourt” and tap an icon, and Metro will yield the information that the shortest subway route will take 16 stops involving one change (at Barbes-Roucheouart—thankfully, you don’t need to know how to pronounce these names), for approximately 33 minutes total. Each subway stop is identified, as well as the direction of the train you should be taking. The best thing about Metro? It’s absolutely free, and works offline. This list of apps could go on, but as travel is complicated enough, let’s keep it simple: for as long as you have these apps (WorldMate, FlightBoard, Ulmon Maps, and Metro), your next trip will be much less of a headache, and you can enjoy the view out the window rather than wonder and worry over where your train is going.